In brief: Our happiness knows no bounds at Chandni. Never change. 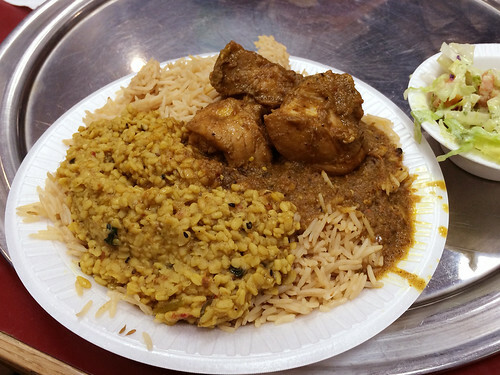 It's so rare to find a deeply filling lunch for less than $10 that isn't a couple of salad greens tossed together, but Chandni continues to provide heaping plates of chicken curry, vegetable entree of your choosing all on a bed of rice so big the plate threatens to break in half. Even when I add a ginger ale and the irresistible nan, my total bill was still less than $10. Amazing.